Dig Pink is a cause we participate in every year. Dig Pink is a series of nationwide games that take place all over in order to help benefit the Side Out Foundation, a volleyball based organization committing to raising funds and awareness for breast cancer. 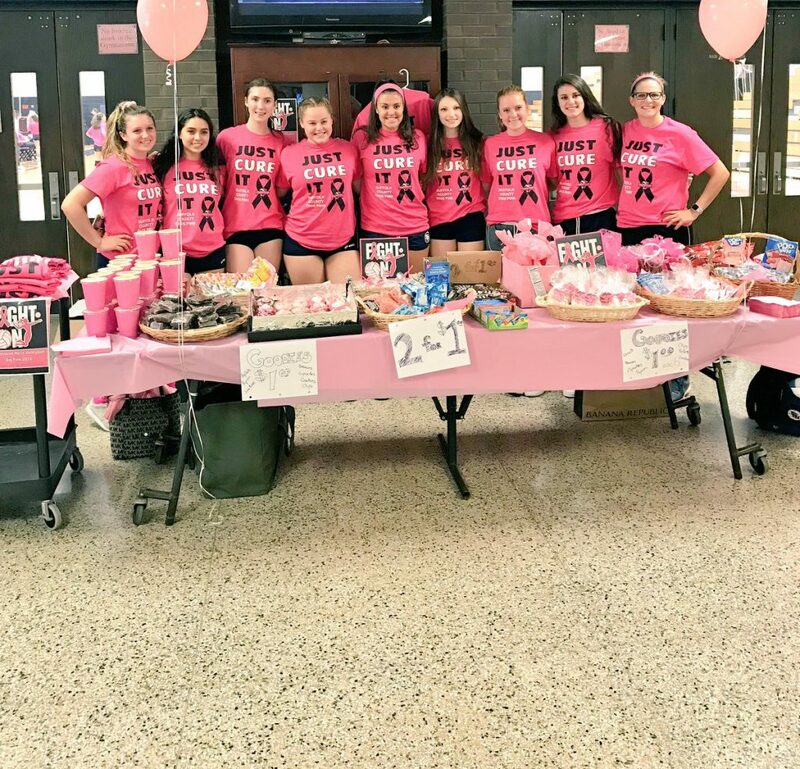 The girls really enjoy taking place in this event, and we order pink jerseys and organize a concession stand for the school day as well as during the match. We decorate the gym with pink balloons, and ask our fans to wear pink to the game. The opposing team is made aware as well so that is truly a cooperative experience for the greater good. This year, we raised $750 to benefit the Side Out Foundation!